Fast-paced, futuristic political thriller. Winner of LIANZA YA Fiction Award 2013.Ash McCarthy thought he finally had it made: away from home and all its claustrophobic responsibilities, he's revelling in the freedom of student hostel life. But life is about to take a devastating turn, when two police officers knock on his door. Their life-changing news forces him to return home to his Down Syndrome brother Mikey, and impels him into a shady world of political intrigue, corruption, terrorism and lies . . . so many lies. As if this isn't bad enough, the whole country is imploding, as the world's two greatest super-powers start a fight that leaves New Zealand 'piggy-in-the-middle' of their deadly games. While trying to protect Mikey, along with strangers Travis and Jiao, his fight to uncover the truth turns into a nightmare race to save their lives and stop the destruction of all the principles he holds dear. 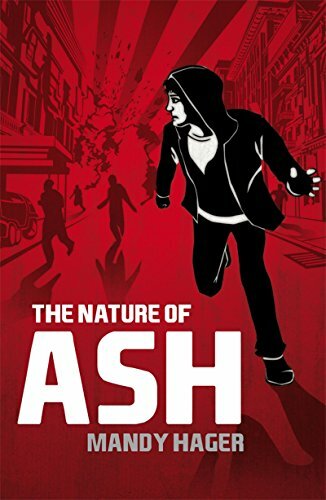 'The Nature of Ash' is a fast-paced thriller that also explores love and loss, assumptions and prejudices, truth and fiction, and the many faces of 'family'.Winner of LIANZA Young Adult Fiction Award 2013. Shortlisted for NZ Post Children's Book Awards 2013.